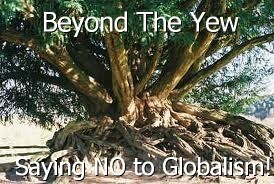 10 | November | 2011 | Beyond The Yew : Saying NO to Zionism! Now that Occupy Wall Street has grown from a handful of demonstrators taking over a Lower Manhattan park to spawn offshoots in cities around the U.S., the movement is now occupying courtrooms. The young movement has lawyered up and filed lawsuits asserting freedom of speech and assembly in federal courts in Cincinnati, Sacramento, Nashville, Dallas and Atlanta, to name a few places. These lawsuits, launched throughout October and November, are attempts by demonstrators to remain in their encampments while protesting government policies and influential corporations that they hold responsible for America’s lopsided economic system. Unlike past First Amendment lawsuits filed over arrests during anti-war rallies, for instance, these complaints challenge ordinances and policies used to drive protesters from parks and other public areas. Occupy Wall Street or Occupy a Small Business? The British media say Israel may launch an aerial strike on Iranian nuclear facilities as early as next month. The offensive will receive support from the US, the speculation goes. The attack is meant to decapitate Iran’s nuclear program, which a recent report by the UN atomic watchdog said may have a military component. The Daily Mail cites British government sources as saying that the cabinet expects Israel to attack Iran “sooner rather than later.” “We’re expecting something as early as Christmas, or very early in the New Year,” a Foreign Office source is cited as saying. The operation will receive logistical support from the United States, the newspaper reports. US President Barack Obama will allegedly have to back Israel to secure Jewish-Americans’ votes for the upcoming presidential election. Earlier, the Guardian newspaper reported that the Ministry of Defense is drawing up contingency plans for Britain’s participation in a joint military operation against Iran. The report said such an attack would be carried out by Israel and probably the US after the presidential election in America. The Daily Mail cites its sources as saying that Whitehall currently rules out Britain’s direct involvement in an attack on Iran. The International Atomic Energy Agency released a report on Wednesday which included allegations that Iran had been developing technology related to nuclear weapons before 2003 and may still be doing so. Tehran called the accusations politically motivated and based on lies. It refused to step back from its nuclear program, which it insists is purely civilian in nature. A number of international players called for further sanctions against Iran following the report – both through the UN Security Council and at national level. Speculation that Israel is preparing to attack Iranian nuclear sites surged in the media shortly before the IAEA report was released, as the allegations contained in it had been leaked in advance. Officially, Israel has neither confirmed nor denied such plans, but said military action against Iran is on the table and is more likely in the wake of the report. Iran said it would retaliate if attacked and named Israeli nuclear facilities among the possible targets.